The 99% movement sweeping the globe is indeed something new under the sun. Little molecular revolutions, the occupations are rhizomes; in this clear revolt against neoliberal “realism” who does not see the spirit of sixty-eight, dormant for a long winter of four decades, awakening once more? Thinkers have not only the opportunity but in many ways a profound obligation to help focus and organize the will of the people, to help inspire and to amplify revolutionary reflection and affect. While the medium of thinking is primarily writing, nevertheless theory can help crystalize and push complex systems towards transformation — towards becoming-something-else. This transformation need not, as some might have it, be specified entirely in advance; indeed, such a specification is perhaps impossible. The self-regulated emergence or becoming of the people’s voice through the consensual decision-making mechanism of general assembly, the thunderous roar of the people’s mic, are things that philosophy should not simply note, or even sit back and interpret, but actively encourage and assist. It is perhaps incumbent upon theory as well to offer certain precautions, to warn of the various dangers attending the construction of smooth spaces and lines of flight. The warnings should be multiplied as much as the inspiration, at least enough to temper blind enthusiasm. It is certainly true that a smooth space is not enough to save us; we must also foster the continuous development of self-regulating systems, and help conceive and develop other kinds of spaces that can effectively resonate with these novel impulses. To actively construct a new plane of consistency and create new concepts to populate it, the occupation of theory would be obligated to take up the refrain not only of the multiple and immanence but of the event and its complex genesis or emergence. At any rate, the occupation of theory cannot just amount to a theory of the occupation. What is the politics of philosophy, rather than the philosophy of the political as such? Theory can illuminate the battlefield, reveal behind politics the spiritual and natural forces animating it: the system of judges whose dream is to crush and regulate desire; the virus of resentment and misery which has turned the world into a madhouse; the searing want that tortures working people all over the world. My hope is that more thinkers will directly engage the occupation; at least to address them, as Zizek did, and encourage them to continue to have the courage to want what they truly desire, as well as to share concerns and certain warnings. Hey there Joe! Re: Occupy Theory I am stewarding with others at the Future of Occupy project what is beginning to evolve as part of the larger project a theory making peoples think tank. We started that here http://thefutureofoccupy.org/2012/02/13/a-commons-inspired-occupy-theory-of-collective-action/ as part of a workshop at Occupy Wall Street which explored the relationship of Occupy with the Commons and how each can think and learn from each other. The potential is great. We would like to connect and collaborate in whatever ways you are inspired to do so. 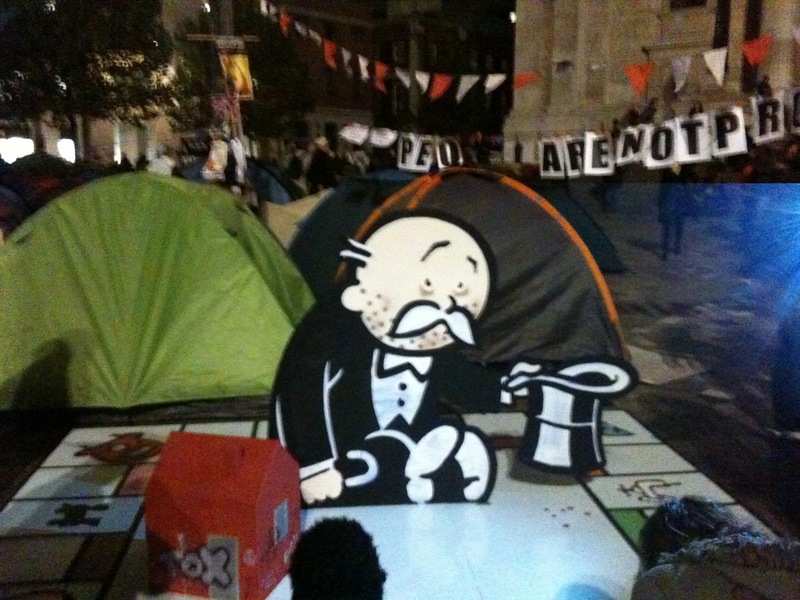 Is it ok to republish your blog post on Occupy Theory on our website http://thefutureofoccupy.org?